Move right into this 5 year young, Monsour-built home in popular Cedar Brook! Needs nothing! Just repainted throughout, brand new carpet just installed! Very open and spacious, huge rooms and lots of big closets! First floor boasts 9' ceiling height, awesome kitchen with upgraded cabinets, center island, stainless appliances (they remain), pantry. Enormous master has his & her walk-in closets and private bath; 2nd floor laundry for convenience. Custom blinds throughout, home alarm. Great front porch for summer evening relaxing, cul-de-sac location. On the largest lot in the neighborhood! Click on main photo for survey. Easy to show, seller offering 1 year warranty. Cedar Brook is a subdivision within the city of Louisville, Kentucky. There are currently 3 Homes for Sale within Cedar Brook, with asking prices ranging from $225,000 to $269,900. The average list price per square foot of the available inventory in Cedar Brook is $108, which is below the Louisville average of $156. The Average Sales price of all sold real estate in this subdivision for the past year is $208,235. Recent comparable homes have been selling for 117.30% of their asking price. Waterfront homes represent 66.67% of the available Cedar Brook inventory. The population of Louisville, according to the 2010 Census, is 597,337. The total number of households in the zip code of Cedar Brook is 6,238, with an average household size for of 2.52 people. The total number of renter households within the zip code of 40228 is 965, which means that 84.53% of households in this zipcode are owner occupant households. 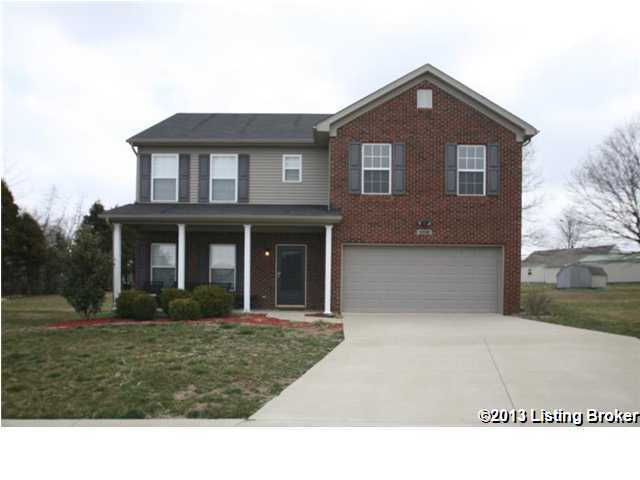 LISTING PROVIDED COURTESY OF Edward C Garrett, Coldwell Banker McMahan Co.
10502 Evanwood Dr, Louisville KY 40228 is a Home, with 4 bedrooms which is recently sold, it has 2,210 sqft, 32 X 138 sized lot, and 2 Car Garage,Attached,Entry Front parking. A comparable Other, has bedrooms and 0 baths, it was built in and is located at and for sale by its owner at $ 0. This home is located in the city of , in zip code , this County Other, it is in the Subdivision, and ZELMA FIELDS are nearby neighborhoods.